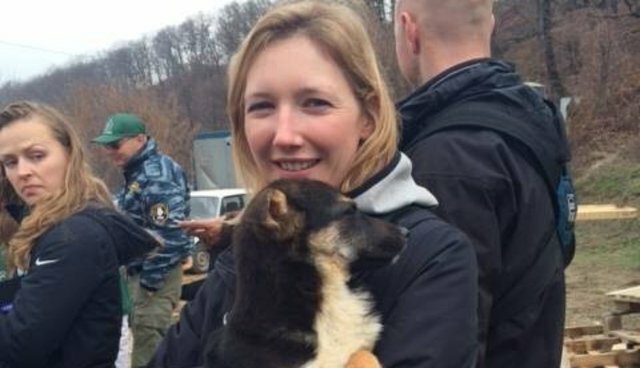 After she had announced plans to adopt a Sochi stray and bring it back to the U.S., spokesperson for the U.S. bobsled and skeleton team and former bobsledder Amanda Bird picked out her pup at Povodog, the shelter set up by Russian billionaire Oleg Deripaska to take in stray dogs. Povodog posted a photo of Bird and her new puppy on their Facebook page. Bird said earlier during the competition that she'd like to name the dog she takes home "Sochi." No word yet though on how she will get the dog out of the country -- a feat that has proved difficult thus far. "It's just getting the pup home that's complicated," Bird told Bloomberg News. "I'm on a chartered flight that will not allow the dog. But if I get the dog to Munich, I should be fine."